It can be frustrating when your holiday photos do not adequately showcase the great places that you have visited. In this tutorial I will be showing you how you can make your travel photographs stand out by simply applying a few photo filter effects. The first thing to do is to think about what your image is lacking. Is it lacking a bit of colour, contrast or is it simply too dark? This image is quite dark which affects the colouring and the contrast, so these are the points which we will focus on. 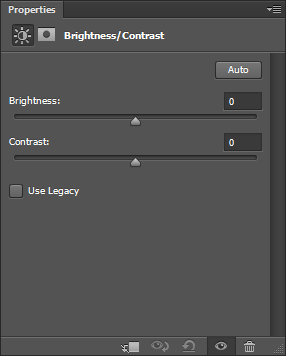 Using the Brightness/Contrast tool in the “add an adjustment” settings, you can brighten up your image. Click on sun icon and experiment with the sliders until you achieve the desired effects. Be cautious about altering your image too much in this way as brightening your mage too much can affect pixel density, making your image less clear. The Levels tool allows you to adjust the highlights and shadows within your image, making it great for adding drama to cloudy sky or making water sparkle. Moving the grey arrow to the left, closer to the black arrow, will make the overall image lighter. This is because the range of lighter tones has been expanded. Equally, moving the grey arrow close the white arrow will expand the range of shadows, making the image darker. 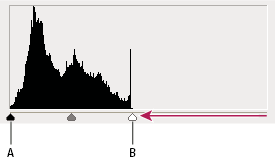 If the histogram is shorter than the range conveyed between the black and white arrows, move the black and white arrows to the edges of the histogram, as per the image below. This will improve the contrast of the image. Remember that this tool works on a black, white and grey tonal range, so this will not highlight the colours within your image. 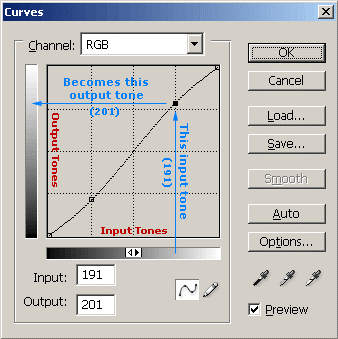 While the Levels tool can adjust white, black and mid-tones, the Curve tool can adjust colours. As such, it is more complex. 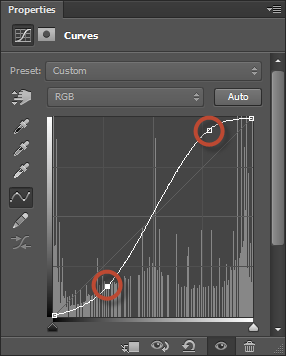 The below image illustrates how the curve graph works. You can alter your image by adding anchor points to the graph, as I have done below. The lower anchor means the shadow tones are darker. The higher anchor has brightened the highlights. The tones that were originally displaying at the level indicated on the horizontal axis are now at the level on the vertical axis. This will create more contrast, giving a richer image. Do not be afraid to experiment with different anchors until you have achieved the desired effect. 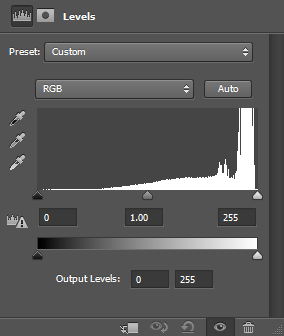 This is the end result from my experiments with the Brightness/Contrast, Levels and Curve tools. As you can see, the colours are a lot richer whilst the contrasting colours are a lot more vibrant. The image is now a lot more vivid and pleasing to the eye. At this stage you may be happy with the final outcome, but what if you wanted to add some more filtering effects? Check out the next step below. I wanted to give the impression of dusk drawing in on my image. For this, add a photo filter in the “add an adjustment” panel. In this part you can select the colour and density of the effect. I kept mine pretty simple otherwise it would not look too realistic. You can see from the layers used, I have also added some extra balancing adjustments. This is to make sure that the red filter does not over power the image. The “add an adjustment” panel is really important for photographic edits. It offers quick solutions for improving your images. If you would like to find out about the fine details with the settings behind these filters, please download the Photoshop actions file detailed below. For this filter to work, you must have your holiday photograph on the default background layer.